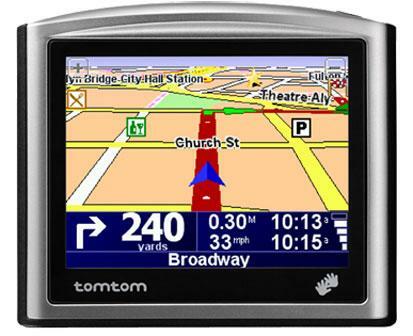 If you have ever used a GPS navigation system within an automobile or on your smartphone, you probably are familiar with the term “recalculate.” The computerized voice command prompts will use this term whenever you make an unplanned turn or veer off the suggested course getting you from point A to point B. For instance, say you are traveling on vacation and you have entered your desired destination in advance into the GPS navigation system; if at any point on the trip you choose to exit off the highway for a pit-stop, the GPS voice automated prompt will instantly alert you that you have veered off course and tell you to “recalculate.” It does so because it interprets the change in direction as some sort of wrong turn. Of course if you don’t want to hear the voice prompts from the GPS navigation system, you always have the option to switch off the sound! As I thought about this wonderful technological advancement, and as I pondered upon the particular voice command to recalculate, I saw that there was a spiritual lesson to be gleaned from. As we travel down the road of life, we see the flashy billboards of the world, enticing us and tempting us to veer off the path that God has laid out before us. And oh how frequently we take those exits! But praise be to God that it is in those moments that the Holy Spirit alerts us and prompts us to “recalculate” our positioning with the Lord. You see, as a Christian you have the blessed Holy Spirit of God dwelling within you (John 7:38-39). And when you get sidetracked spiritually, He will alert you of your need to “recalculate.” I know from personal experience that there have been moments within my spiritual journey that God the Holy Spirit convicted me about certain detours I had taken, only to help me get back on the right track. This assistance from the Holy Spirit should not come as a surprise. After all, the Holy Spirit is our helper (John 14:26) and it is His still small voice that prompts the child of God to take the right course of action. Oh, and by the way, unlike the GPS navigation system, there is not a button that will turn off the Holy Spirit’s voice! There are other words with spiritual significance that I mentally associate with the word “recalculate.” Words such as “reassessment” and “realignment” come to mind. The former means periodically taking personal spiritual inventory to see whether or not your heart and life match up to God’s Word. By doing so, you might prevent a “detour” in the first place. The latter is the removal of sins that ought not to be in your life and the addition of things that ought to be in your life that are not. It is the action of aligning your heart with God’s heart. Doing so is vital, because it is only when you have the right alignment spiritually that you can be used by God. People are a lot like cars in the sense that they only function properly when they have the proper alignment. Is the Holy Spirit prompting you to recalculate your positioning with the Lord? If so, listen to His command and get back on the road God has mapped out for your life. Reassess and realign your life in light of God’s will and God’s Word. Take time out today and ponder these things, and ask the Lord to give you the ears to hear and the eyes to see your GPS spiritual positioning. It is always good to have guidance in our life. Especially since it comes from an all-knowing God. This helps us to overcome all our distractions in lif. So often we try to find our own way through life blindly. Much like driving in unfamiliar territory, we will get lost. We would need a map, or better yet, a GPS. I like to think the Bible is the road map we should consult, and God is the GPS whose directions we need to follow to reach our destination safe and sound. I completely agree. The hold spirit is a nice tool to have to be able to fall back on when you need to know when to “recalculate” and make a different turn to get back on the right path in your life. I agree that it is important to align your heart with God’s heart. Staying on the right path is sometimes hard, but once you realize you have God and the Holy Spirit on your side it makes things easier. Even though it is sometimes easy to steer off the pathway that God has planned. We must always remember He is in control and listen to him no matter what. I think that when you sense God in your spirit you should not just block Him out or ignore Him. We should basically just take a moment and listen to what He is telling us. A GPS has saved me a time or two, but life is difderent. We absolutely can’t know our final destination much less how we are going to get there. We must listen to the guidance of the Holy Spirit if we expect to end up where God has planned.